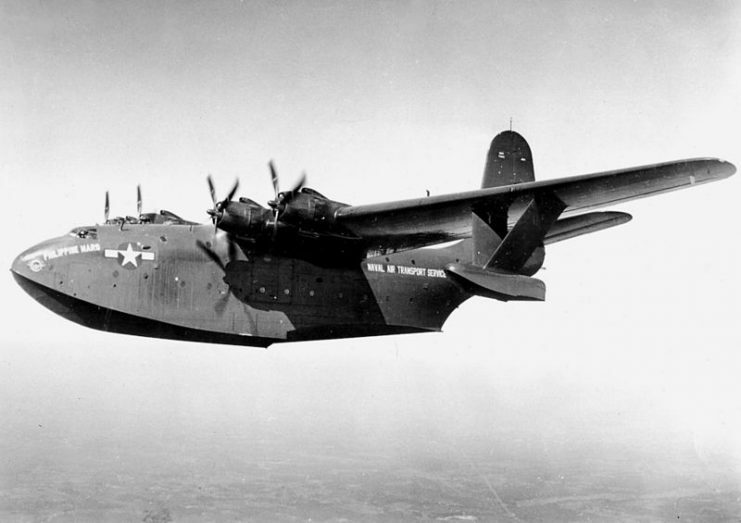 The Martin JRM Mars was conceived in 1941 as a patrol bomber, intended to scale up the already existing Martin PBM Mariner. 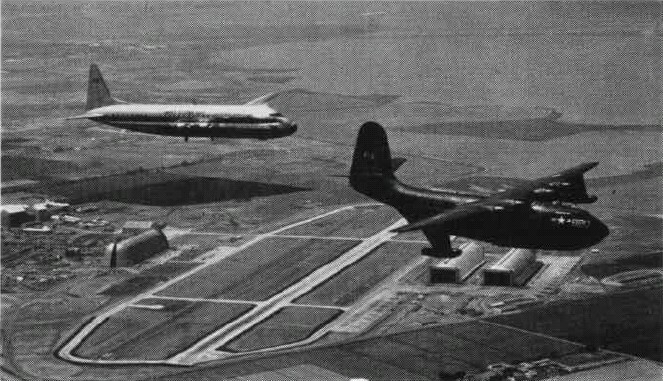 The prototype, designated as XPB2M-1R, went into test phase in November 1941 and first flew in June 1942. By the time more aircraft entered production, however, the role of a patrol bomber was already considered obsolete. 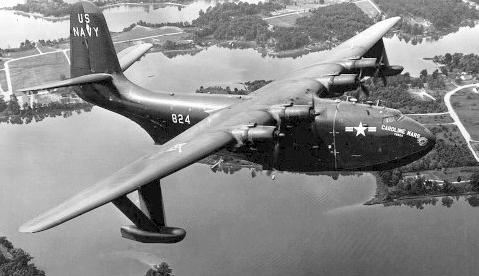 Being the largest flying boat ever to enter Allied service during WWII, it was soon assigned the role of a transport plane instead. 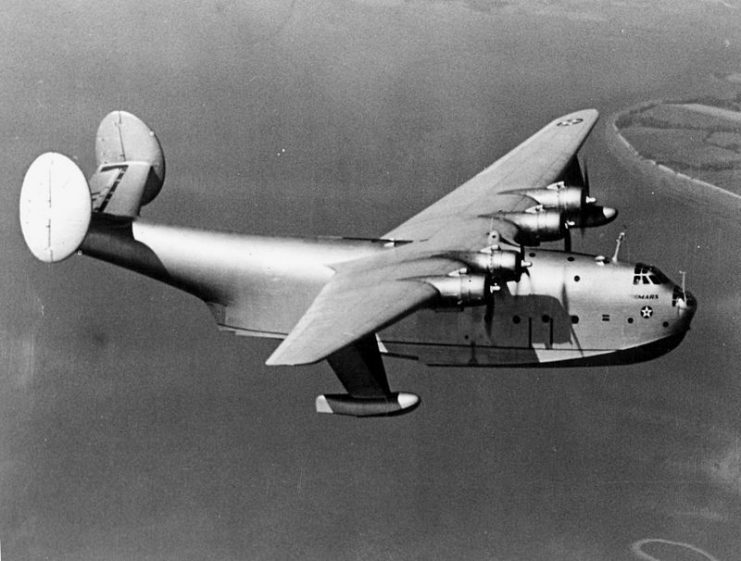 After successful tests in 1943, the Navy originally decided to order 20 aircraft. Later they reduced the order to only the five which were already being manufactured. 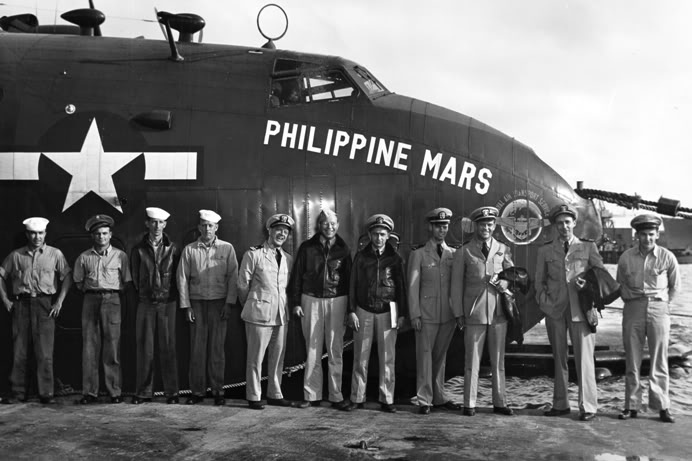 Those five aircraft were designated as Marianas Mars, Philippine Mars, Marshall Mars, Caroline Mars, and Hawaii Mars. 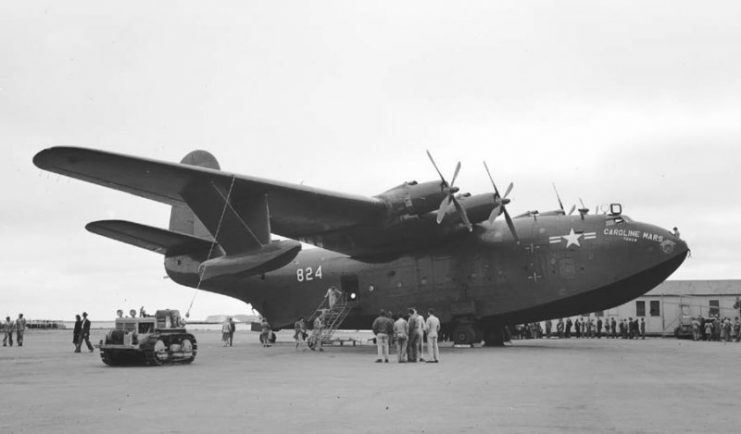 The XPB2M-1R designated as Hawaii Mars was also the second one to bear that name, as it was also the name of the first aircraft produced. 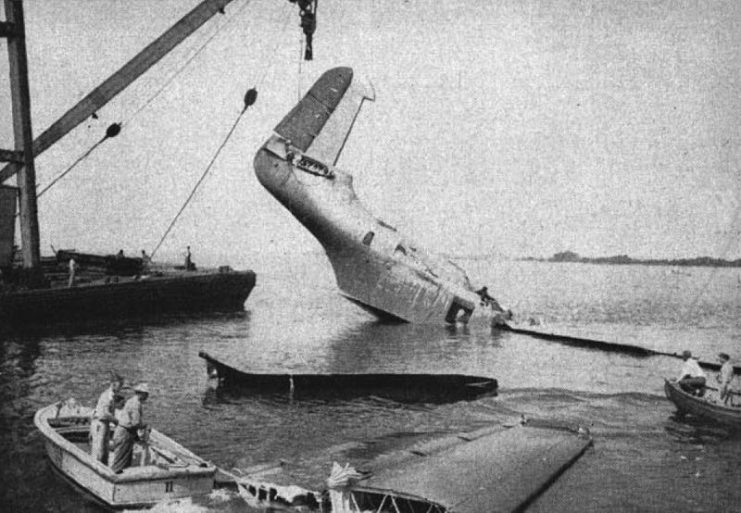 Unfortunately, several weeks after conducting successful test flights, the first Hawaii Mars crashed in Chesapeake Bay. 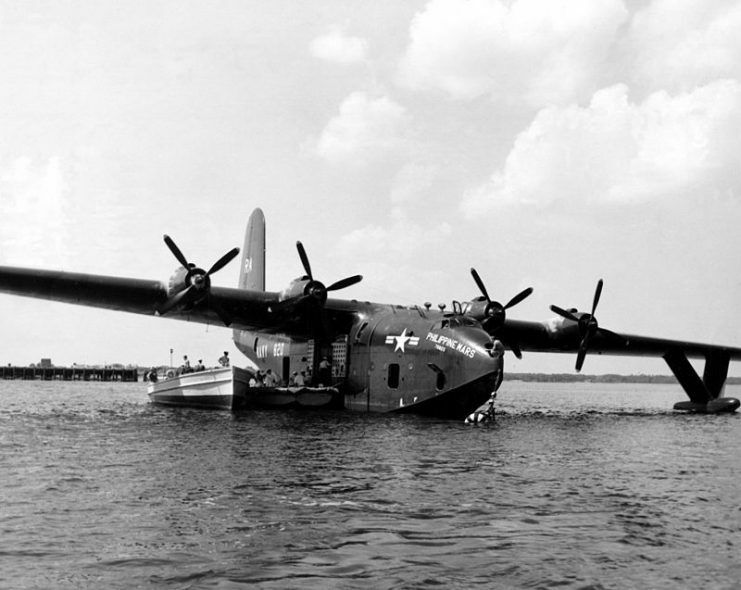 Even though this four-engined giant had to wait until January 1944 to officially enter service with the Navy, it continued to be employed after the war as a useful asset. However, very soon they proved impractical and were used mainly for exhibition purposes. Caroline Mars set a world record for passenger loads on 4 March 1949 by carrying 269 people from San Diego to Alameda, CA. 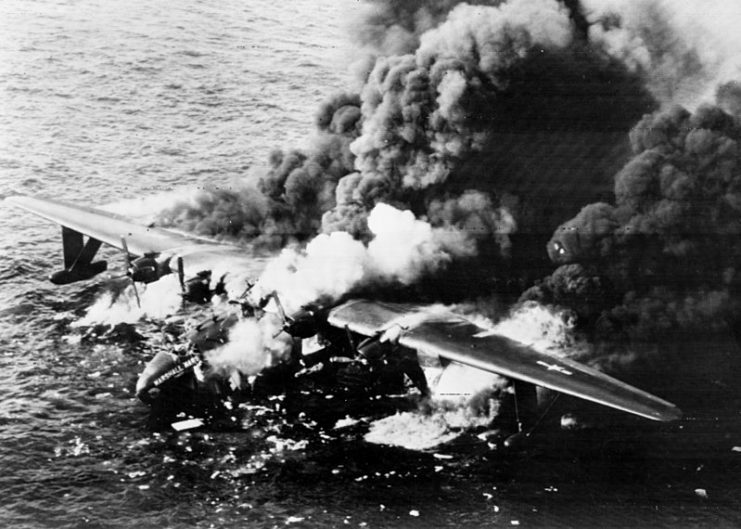 Another airplane was lost in 1950 after its engine burst into flames. 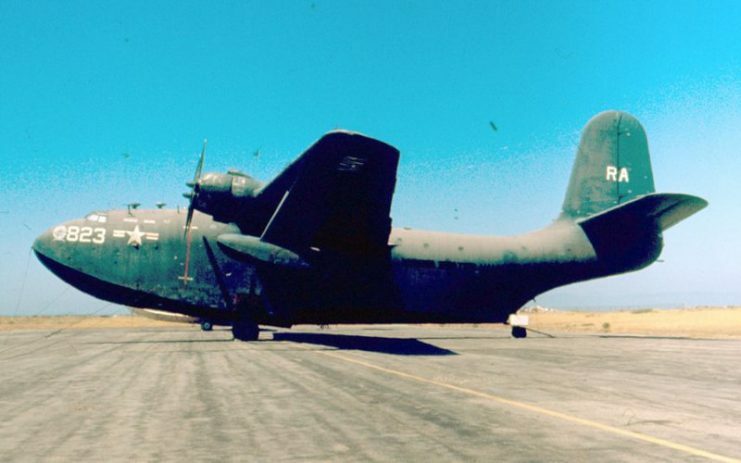 Despite malfunctions, the four surviving Martin JRM Mars aircraft served with cargo duties until 1956, when they were officially retired. The aircraft were almost sold for scrap, but in 1959 they were given a second chance. 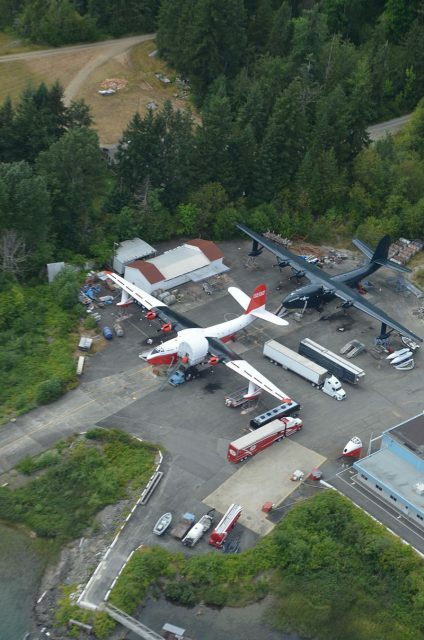 A Canadian company, Forest Industries Flying Tankers, purchased them to serve as part of their forest fire prevention inventory. The conversion enabled the aircraft to carry 7,200 U.S. gallons (27,276 liters) of water, covering an area of up to 4 acres (1.6 hectares). 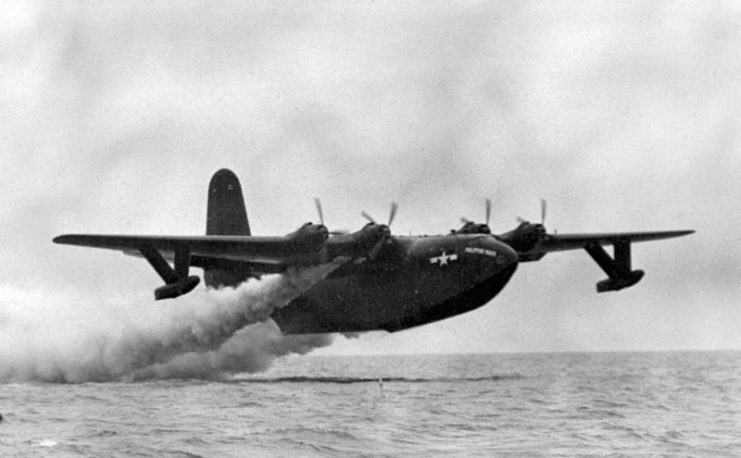 The planes designated as Marianas Mars and Caroline Mars were the first to become water bombers. 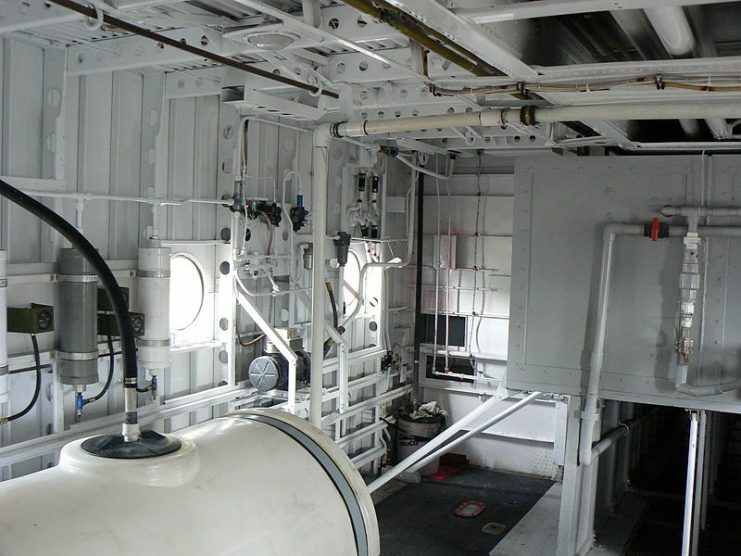 In 1961 Marianas Mars suffered an accident while participating in a firefighting operation near Northwest Bay, British Columbia. It crashed, killing all four members of the crew. Just two years later, Caroline Mars had a similar accident. Although it escaped total destruction, it was damaged beyond repair. 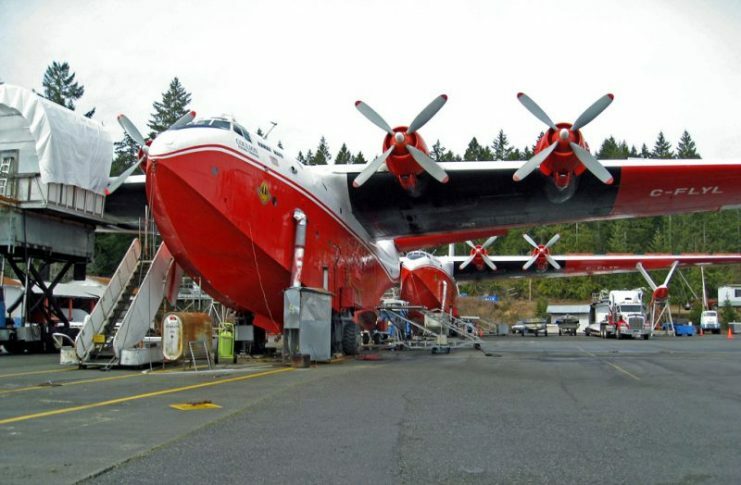 Afterward the remaining two Martin JRM Mars planes, Hawaii Mars and Philippine Mars, were both converted into water bombers and remained in service until 2006, beyond anyone’s expectations. 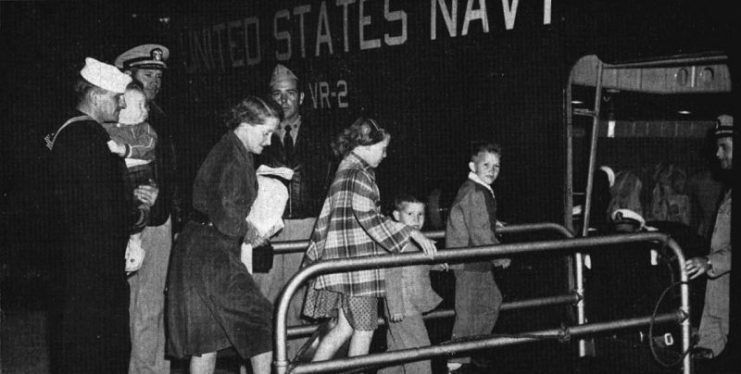 Passengers are greeted by U.S. Navy Captain W.A. Sullivan before boarding a Martin JRM Mars at Naval Air Station Alameda, California (USA), for a flight to Pearl Harbor, Territory of Hawaii. 125 men standing from one wingtip to another on a Martin JRM Mars. 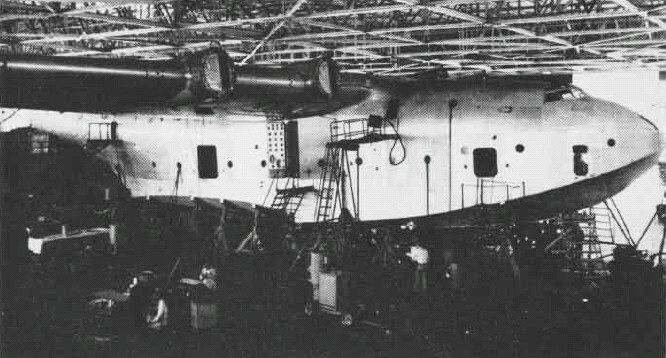 A Martin JRM Mars being overhauled at the Naval Air Station Alameda, California (USA), in 1948. The Martin JRM-2 Caroline Mars and a Lockheed R6V-1 Constitution over Naval Air Station Moffett Field, California (USA), in 1951. The U.S. Navy Martin JRM-1 “Philippine Mars” (BuNo 76820) making a rocket-assisted take-off (RATO). 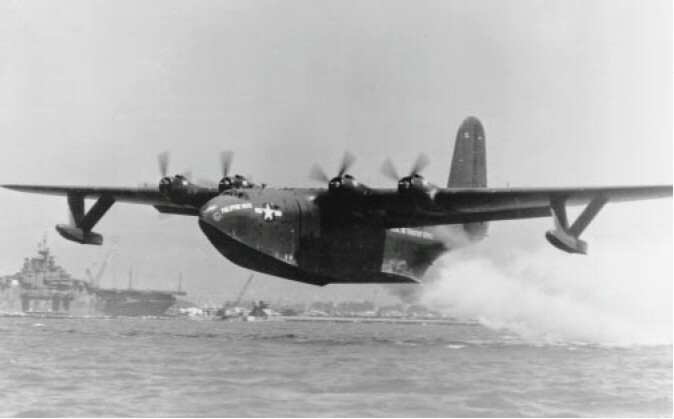 Martin JRM-1 (76820) Phillipine Mars taking off in San Francisco Bay on July 20, 1946. 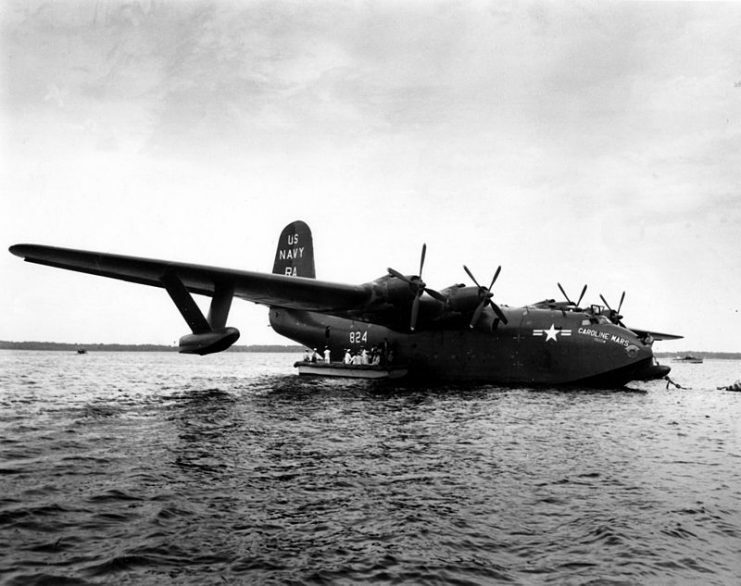 The Martin JRM-3 Philippine Mars (BuNo. 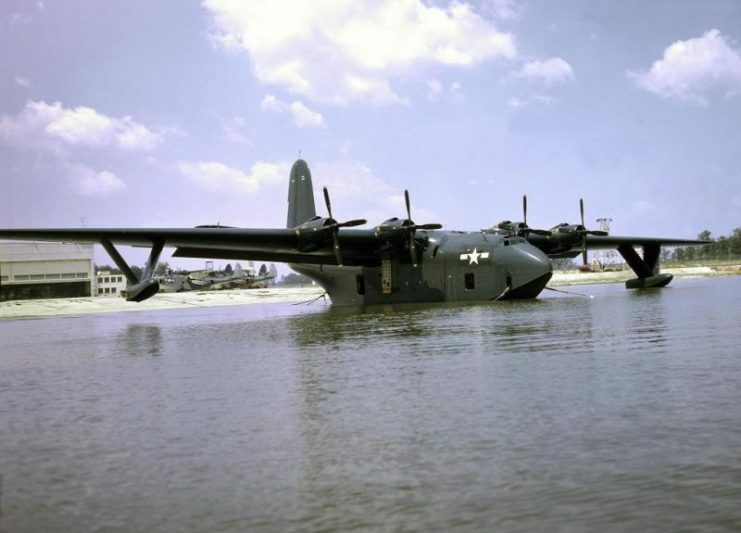 76820) of transport squadron VR-2 sits moored off the Naval Air Station Jacksonville sea wall, Florida (USA). The Martin JRM-3 Philippine Mars (BuNo. 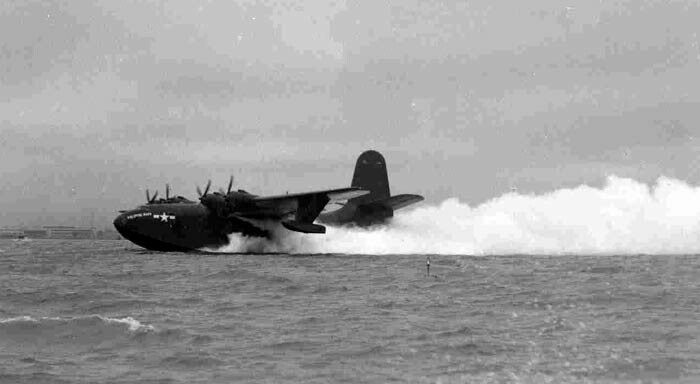 76820) of transport squadron VR-2 taking off fom San Francisco Bay at NAS Alameda, California (USA) to Honululu, Hawaii, in 1946. The U.S. Navy Martin JRM-1 “Philippine Mars” (BuNo 76820) in flight. 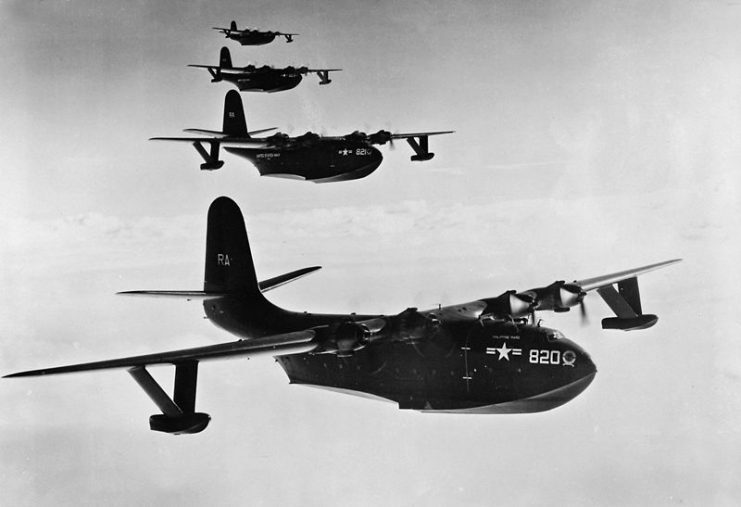 Four Martin JRM Mars aircraft, Philippine Mars (BuNo 76820), Marianas Mars (BuNo 76821), Hawaii Mars (BuNo 76823) and Caroline Mars (BuNo 76824) of U.S. Navy transport squadron VR-2 in flight. 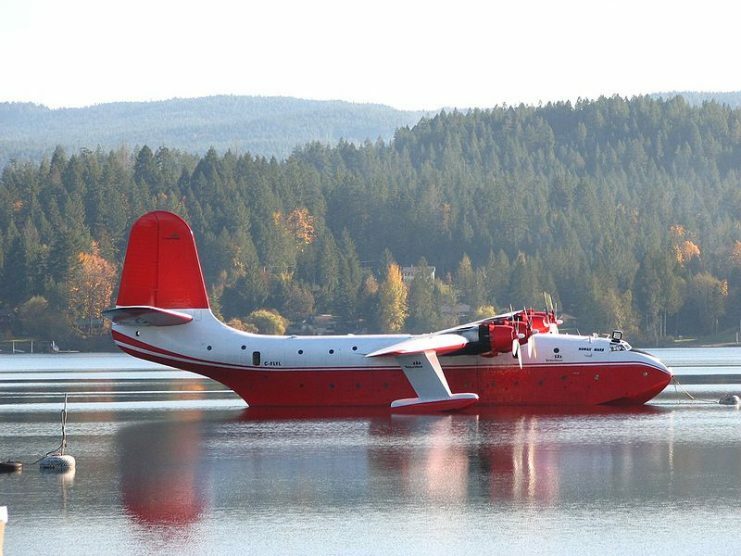 The Martin JRM-2 Hawaii Mars (BuNo 76823) at Clear Lake, in Lake County, northern California (USA) which had been selected as an alternate landing place for the Mars flying boats, when they could not land at Naval Air Station Alameda. The hull of the first U.S. Navy Martin JRM-1 Mars is raised from Chesapeake Bay (USA). 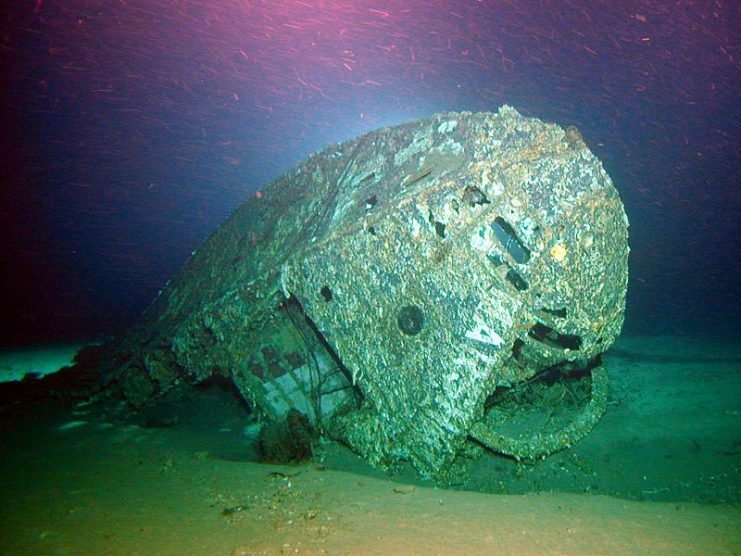 The “Hawaii Mars” (BuNo 76819) had been accepted by the U.S. Navy on 21 July 1945 but sank in Chesapeake Bay on 5 August 1945 after porpoising during landing. The nose of Marshall Mars, photographed by a joint NOAA, University of Hawaii, National Park Service survey in 2004.